With last month being a record breaking month, December is proving to be a very busy too. Our Leak Detection engineers have carried out Leak Detection Surveys for many home water leak emergencies throughout the UK, enabling our customers to have central heating and water for Christmas. Finding a water leak in your home can cause even more stress at this time of the year, with Christmas only 9 days away, it's the last thing you need to be faced with. A leak detection survey can save you money, time and unnecessary stress and if you are covered for 'Trace & Access' on your home insurance you will be able to claim this expense back. Our Leak Detection Engineers are working even harder to visit all water leak emergencies before Christmas so you can relax and enjoy the festivities. Leak Detection engineers are dedicated to you the customer and have all the qualifications, equipment and experience in the industry to find water leaks quickly and accurately. Winter is a vey busy time of the year for us at Leak Detection Specialists. In November our leak detection engineers successully found 160 water leaks from Central Heating water leaks to mains water leaks. One of the major factors in water main breaks or water leaks in winter is caused by frost, especially in rigid piping materials. The major cause of the problem is when the frost exerts pressure on the pipes causing them to flex. If the frost protection provided is insufficient for exceptional freezing conditions, or the premises are left unoccupied or without adequate heating, damage and leakage can often be avoided by shutting off the water supply and draining the system before the onset of freezing. A frozon pipe actually bursts (spilts open) when it freezes due to the expansion of water changing to ice, it is only when it thaws out that we realise it has burst by seeing the water leak out. 10 Reasons to choose Leak Detection Specialists Ltd to find your water leaks: Excellent Customer Service99% Success rate in finding leaksHighly qualified & trained Leak Detection EngineersModern 'State of the Art' Leak Detection Equipment usedNational Coverage providing a fast responsePrefered supplier for Insurance companiesWe have found leaks other leak detection companies have failed to findWritten Survey Reports with photographic evidence & recommendations Leak detection is a non destructive solutionRecent customer survey shows 100% customer satisfaction.So you can see why customers are choosing Leak Detection Specialists Ltd to find their leaks. We are one of the original Leak Detection Companies in the UK offering National coverage to both Domestic and Commercial Properties. Call Leak Detection Specialists Ltd now to book a leak detection engineer or just have a chat about your water leak, we are happy to help Tel: 0844 809 4968. LDS Leak Detection Specialists Ltd are experts in finding all water leaks. You may have already noticed some signs of a water leak, for example the noise of water even when nothing is being used, a reduction in pressure at the cold kitchen tap, a patch of greener grass in your front lawn or a damp patch on tarmac. Apart from the obvious signs of leakage there are a few useful pointers: Are you receiving high water bills?Is there a loss of water pressure and flow rate?Is there a discolouration in the supply water?Are the tanks continually running in the loft?Central heating: Is there a repeated loss of system pressure on a combi boiler? We at Leak Detection Specialists pride ourselves on being 'The Best' in the industry. Leak Detection Specialists have a 99% success rate in locating leaks due to our engineers using more than one method of leak detection to confirm and accurately identify your water leak. Our customers depend on us to provide reliable, professional customer service. We do our best to meet and exceed their high standards. Here's what our customers say about our team. Noise Loggers are used for early detection of leaks in water supply networks.The longer it takes to identify that a network is leaking the more revenue is lost and the greater the loss of precious water resources. In addition to the more conventional methods of leak detection the installation of permanent noise loggers has proved to be a cost effective tool in early identification of water loss. By permanently monitoring sections of the system, which have previously been proven leak free, it will alert you when a potential leak does develop. Using a network of Noise Loggers, digital Correlating Loggers (DCLs) Leak Detection Specialists can pinpoint the exact locations of any leaks in one overnight surveillance. LDS enginneers will plan the placement of the DCLs and analyze and review the overnight results. Central heating leaks could be the cause of your boiler loosing pressure on a sealed system, this could mean that you may have a hidden leak on your central heating pipework or underfloor heating pipework somewhere in your property. With advanced modern technology, and state of the art equipment, Leak Detection Specialists engineers can locate your central heating leaks super-fast and accurately. 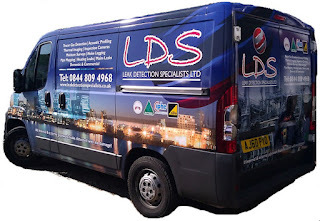 Leak Detection at L.D.S Leak Detection Specialists Ltd. 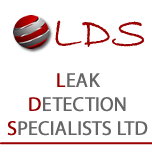 This month has been a busy month for L.D.SLeak Detection Specialists Ltd.
We have been working with our friends in the UAE regarding a bespoke Leak Detection package including the tracing of leaks in diesel, water and fire ring mains circuits. Our engineers are putting their Leak Detection skills together to carry out this Leak Detection survey together to save water in the UAE . We should have an outcome soon. At L.D.SLeak Detection Specialists we have also been in constant contact with our friends in the Falklands regarding another Leak Detection package for the island. We should have news on this development very soon too. Do you need Leak Detection? Do you need Leak Detection? Is your central heating loosing pressure and you are topping up the water everyday. Then yes you do have a leak and Leak Detection Specialists Ltd can help find your leak. Leak Detection Specialists Ltd employee highly qualified leak detection engineers who use leak detection equipment such as acoustics, tracer gas and thermal imaging to help them pin point exactly where your leak is in your property. Using Leak Detection to find your leak will save you money in water bills, plumber bills, unneccessary excavations and water damage in your home and you may also be covered for 'Trace and Access' on your home insurance. Leak Detection Specialists Ltd have skilled engineers all over the country enabling us to provide a fast response. We cover all counties in England from South East, South West, West Midlands, East Midlands, North West, North East and Yorkshire & Humberside for all your leak detection needs. Our leak detection engineers are trained at the highest standard and have at least 20 years experience, no wonder they can find leaks that other companies have failed to find! Leaks can be found on the central heating or main pipe work and our leak detection engineers are always equipped with all the neccessary leak detection equipment in order to locate your leak. If you have a leak we guarantee to find it. For leaks in the home usually one engineer is sent to locate the leak however two engineers are sent for commercial leak detection. Leak Detection Specialists Ltd provide leak detection in your home. Do you have a leak that is costing you a lot of money with high water bills and water damage? Has your local plumber failed to find the leak? If this is the case then our Leak Detection company will guarantee to find your leak. At Leak Detection Specialists our engineers use specialised leak detection equipment to find your leak causing little or no damage to your property. Our leak detection engineers have many years experience in finding leaks and use various leak detection methods to accurately locate the leak. They will be able to diagnose if the problem is in the boiler or on the pipework. Common water leaks in the home are on the Central Heating System or on the pipe work in the kitchen or bathroom. Using leak detection will help locate the leak within a small area avoiding pulling out all your kitchen cupboards or pulling up all your floorboards. What is Leak Detection ? Leak detection is to discover where a liquid or gas has escaped from a hole or crack in a pipe. The need for leak detection has become more popular today as the methods are non destructive causing little or no damage to properties. Plumbers, insurance companies and commercial businesses all use professional leak detection engineers to find their leaks. Hidden leaks can be difficult to find causing damage, costly repairs and high water bills but leak detection will find the leak saving on expense and water damage. Leak detection is a skilled profession requiring engineers to have many years experience in plumbing and heating. Engineers are trained to use advanced leak detection equipment and how to interpret their findings. Which Leak Detection company can I trust? In the last year the leak detection industry has increased with many companies claiming they can find your leak, but who do you choose and who can you trust? Leak Detection Specialists Ltd are one of the original leak detection companies. Our senior leak detection engineers have over 20 years experience in detecting leaks in domestic and commercial properties. They are fully trained and qualified to the highest possible standard and have trained other people in the leak detection industry. Their knowledge and experience is essential to finding a leak using leak detection equipment to include thermal infra-red cameras, acoustics and tracer gas testing equipment. A water meter is a device that measures how much water you use. It is similar to your gas or electricity meter. Your supplier uses readings from the meter to calculate how much to charge you for your water and sewerage services. If you have a meter, the amount you pay will depend on how much water you have used. If you do not have a meter, you will be charged a fixed amount each year (‘unmetered’ charges). Less than 2% of the earths water supply is fresh.The average person in Britain uses 155 litres of water a day. A figure that has dramatically risen in the past 30 years & looks set to climb. Getting water to your taps uses a lot of energy especially when its heated up. If every UK home reduced there hot water use by just 5% the CO2 saving would be equivalent to taking around half a million cars of the road. Saving water saves you money & helps save the environment. In developing countries each person uses only 20 litres a day 1/3 of household water is used to flush the toilet. On average, people flush the toilet 5.2 times a day. Washing machines and dishwashers used over 500 billion litres of water in the UK in 2000 alone (94% was used by washing machines). Why Choose Leak Detection Specialists Ltd? Trained technical engineers.High success rate.Excellent service.Businesses or at home.Everywhere in the UK covered.Swift response.Timely issuing of reports. Commercial leaks can be daunting large water bills for lost water can be huge & easily eat into a businesses hard earned profits. Has your usage/consumption suddenly gone up along with the bill ? Simple isolation tests & water meter monitoring can confirm if a leak is present on the underground supply or distribution pipework. You can always call the local water authority who should be able to confirm if a leak is present? It will be unlikely that the water authority will find your leak but may issue a section 75(water industry act 1991). What to do if you have been issued with a section 75 from your local authority? Building & Contents: Contact your insurers if your property is water damaged or you suspect that you have a leak. Find: We will identify the location of hidden leaks internally & externally. Gas: Have your boiler routinely serviced by a gas safe engineer. Home: Our engineers will call at your property at a pre-arranged time & date. Calling ahead if necessary to confirm arrival time. Information: Safely store your boiler manual & documents. Jacket: Check that your hot water cylinder insulation is up to current standards. Leak: We identify leaks at domestic or commercial properties. Mapping: We can map heating pipes & water supply pipes. Do you think that you have a water leak? Are you receiving high water bills? Is there a loss of water pressure and flow rate? Is there a discolouration in the supply water? Are the tanks continually running in the loft? Is there a repeated loss of system pressure on a combi boiler? Know where the isolation points are i.e. the stop taps internal and external. Check that its operational and accessable. Ensure that pipes are well insulated and isolated or drained down if no longer required. Lag all exposed pipework. Have your boiler routinely serviced. Have your cylinder, room and radiator thermostats set to reasonable temperatures. If the frost protection provided is insufficient for exceptional freezing conditions, or the premises are left unoccupied or without adequate heating, damage and leakage can often be avoided by shutting off the water supply and draining the system before the onset of freezing. Did you know? The wrong thickness of insulating material provided is a common fault identified by many water company inspectors when checking systems! When does a pipe burst due to freezing? Is it when it thaws out? No, the pipe actually bursts (spilts open) when it freezes due to the expansion of water changing to ice, it is only when it thaws out that we realise it has burst by seeing the water leak out. When water freezes it expands by about 10%. In order to protect against frost damage, mains and service pipes should be atleast 750mm beneath the surface of the ground.